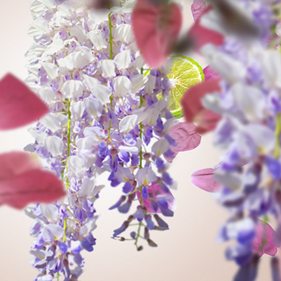 With its curves and infinite roundness, the Sphère Frosted Lampe Berger is the very definition of Art Nouveau. The Sphère Frosted Lampe Berger is an aesthetic celebration: the celebration of Art Nouveau, its inventiveness, its sense of rhythm and its embellishments. It could nestle inside Gaudi-style tracery, or decorate with finesse and elegance a stair rail designed by Horta. 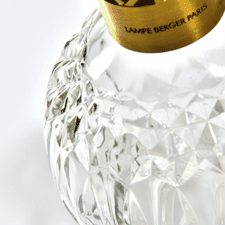 Its glass body, seemingly simple, harbours all the treasures of glass-making expertise with its raised dot motifs: the Sphère Frosted Lampe Berger is a genuine item of excellence. Lamp sold in a gift pack with accessories: wick-burner, ball-shaped mounting, stopper and funnel. Change the burner after being lit 200 times, or every year. Discover how to use your lamp to take full advantage of its delicate fragrance and purify your interior air. A simple ritual to adopt in your home.